Follow what law and legal representation was like in biblical times with Randy Singer's Christian historical fiction Advocate: He Defied an Empire & Inspired a Faith. At the trial of Christ, Theophilus, brilliant young "assessore" raised in the Roman aristocracy, stands behind Pontius Pilate and whispers, "Offer to release Barabbas." The strategy backfires, and Theophilus never forgets the sight of an innocent man unjustly suffering the worst of all possible deaths--Roman crucifixion. Three decades later, Theophilus has proven himself in the legal ranks of the Roman Empire. He has survived the insane rule of Caligula and has weathered the cruel tyrant's quest to control the woman he loves. He has endured the mindless violence of the gladiator games and the backstabbing intrigue of the treason trials. Now he must face another evil Caesar, defending the man Paul in Nero's deranged court. Can Theophilus mount a defense that will keep another innocent man from execution? The advocate's first trial altered the course of history. His last will change the fate of an empire. 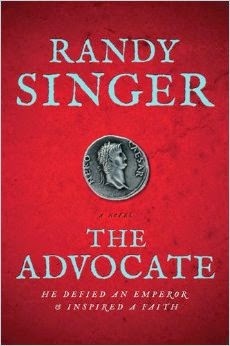 If you like Historical fiction novels, you will be delighted with "The Advocate". The story is rich in history, taking Randy Singer over five years to write, because the historical research that went into writing this novel was very accurate and precise. This is the first novel I've read by Randy Singer and I was new to stories with a legal perspective. Extremely descriptive in Roman history we follow the fictional character Theophilus, as a teen, all the way to maturity, to his witnessing of Jesus' crucifixion, and his battle as an Advocate for Paul to prevent his future execution. The story will make you appreciate your freedom to believe in your own faith. Faith in God was persecuted by the Romans back in these times leading many innocents to torture and crucifixion. The tortures in this book are quite explicit in nature, true to the times of crucifixion. If you are one to get queasy prepare yourself for reading these. There was nothing pretty about the crucifixions, it was ultimate torture and that is how people were prosecuted during those times. If your looking for a historical legal thriller rich in history "The Advocate" is your book. I highly recommend reading this story. Randy Singer is a critically acclaimed, award-winning author and veteran trial attorney. His first novel, Directed Verdict, won the Christy award for the best Christian suspense novel. Recently, Randy was a finalist with John Grisham and Michael Connelly for the inaugural Harper Lee Prize for Legal Fiction sponsored by the University of Alabama School of Law and the ABA Journal. In addition to his law practice and writing, Randy serves as teaching pastor for Trinity Church in Virginia Beach, Virginia. He also teaches classes in advocacy and civil litigation at Regent Law School and, through his church, is involved with ministry opportunities in India. He and his wife, Rhonda, live in Virginia Beach. They have two grown children. Visit his website at http://www.randysinger.net. You can find "The Advocate" at Family Christian, Amazon, and other popular stores that carry books. Enter below! 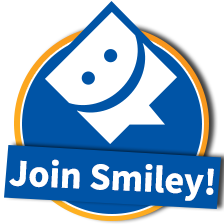 Be sure to leave a valid e-mail address in your comment (s) below. I give the winner 48 hours to reply to my e-mail before choosing another. Disclosure of Material Connection: I received this book free from Family Christian. I was not required to write a positive review. The opinions I have expressed are my own. I am disclosing this in accordance with the Federal Trade Commission’s 16 CFR, Part 255: “Guides Concerning the Use of Endorsements and Testimonials in Advertising.” **Book cover image from the Family Christian website. I had not heard of Randy Singer until this review.